The water absorption is almost zero, so that mosaic will not fall off the wall in wet / cold condition. Because the tiles will not absorb the water, so that will not frozen in cold weather. They can use in pool, spa, sauna, bathroom, indoor, outdoor and so on. Foshan Soulscrafts Building Materials Co., Ltd.
Foshan Nanhai Jiameng Glass Craft Co., Ltd.
3. PE foam between adjacent sheets to aviod any damage, customized carton box outside the sheets. 3. Can I get a sample for free9 Yes, free sample is available with freight collect or prepaid. 4. Can you make products according to our designs9 Yes, all kinds of products can be customized, just let me know your requirements. Foshan Yaohui Building Materials Co., Ltd.
Foshan L&P Building Material Co., Ltd.
KST Building Materials Co., Ltd.
2. Our factory have enough production, so we can make the delivery all in time . 3. FOTO Ceramics can deal with wholesale, retail, project, so we can help all the required clients. 4. 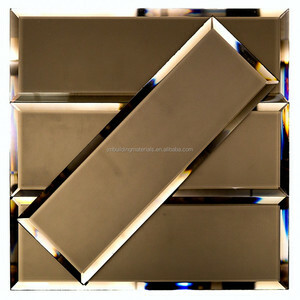 We are concentrating on our tiles quality and best service for our respected clients. If you want to know more about the product, please contact us. 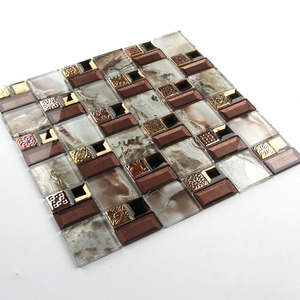 We hope that mosaic products are not only acommodity, but also an art that is worth appreciating. Our business is not just selling products, but also focusing on service and attitude. Foshan Jun Song Building Materials Co., Ltd.
We have our own quality-control system, which ensures the quality of our products. We invested 1 production base and accredit the brand to 3 cooperated factories. All exported products have been controlled and inspected in each step. 2. Our factory have enough production, so we can make the delivery all in time . 3. 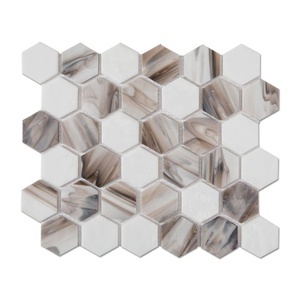 Mersen Mosaic can deal with wholesale, retail, project, so we can help all the required clients. 4. We are concentrating on our tiles quality and best service for our respected clients. 5 . 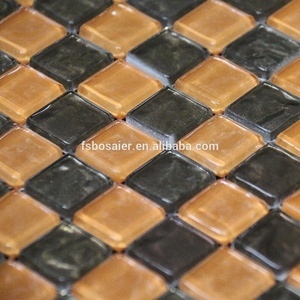 Alibaba.com offers 4,308 glass brown tiles products. About 57% of these are mosaics, 8% are tiles, and 1% are marble. 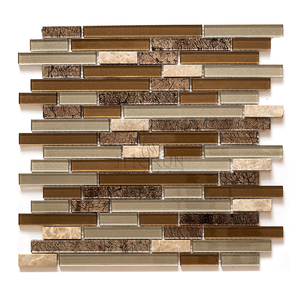 A wide variety of glass brown tiles options are available to you, such as browns / tans, blacks, and yellows / golds. You can also choose from acid-resistant, antibacterial, and non-slip. As well as from 600 x 600mm, 100 x 100mm, and 800 x 800mm. 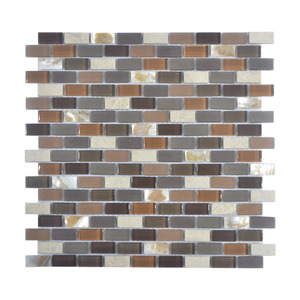 And whether glass brown tiles is floor tiles, accents, or wall tiles. 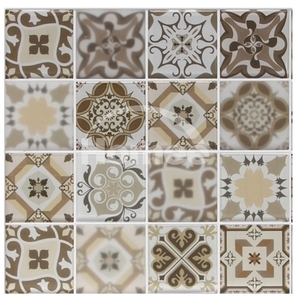 There are 4,311 glass brown tiles suppliers, mainly located in Asia. The top supplying countries are China (Mainland), India, and Canada, which supply 99%, 1%, and 1% of glass brown tiles respectively. 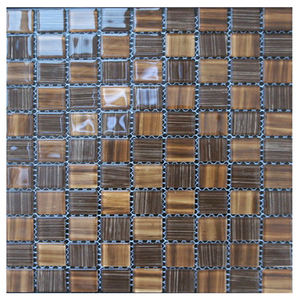 Glass brown tiles products are most popular in North America, Western Europe, and South America. You can ensure product safety by selecting from certified suppliers, including 1,571 with ISO9001, 911 with Other, and 128 with ISO14001 certification.